Ketogenic diet and weight loss. In 2018, about one in four persons on earth was overweight or obese. This makes obesity a dramatic epidemic in many countries. Whether an individual has extra kilos is determined by the Body Mass Index (BMI), which is calculated by dividing the body weight by the square meter of the height. When BMI equals or exceeds 25 we talk about overweight and when it is equal or higher than 30 we talk about obesity. In all cases, the process is the same and is due to an unbalanced diet that leads to the storage of fat in the body. Overweight and obesity are not dangerous themselves, but they are risk factors for other diseases like cardiovascular diseases. They can worsen some conditions such as diabetes as well. The good news is that they are reversible and preventable. Indeed, weight loss strategies with proven efficacy include sport activity, decreasing fat intake and surgery in extreme cases. An increasing evidence suggests that a ketogenic diet is effective for weight loss too. Ketogenic diet or keto diet has one main principle that is a very low carbohydrate intake and a high fat intake. In simplified terms, this means favouring oily fish such as salmon, unprocessed cheese, butter, nuts and seeds, unsaturated fat containing oils like olive oil and coconut oil, avocado and low-carbohydrate vegetables, including tomatoes, onions, paprika, and zucchini for instance, against high carbohydrate food such as root vegetables, grains, fruits and processed sweet products like fruit-juice, candies and ice-cream. Some high protein food like beans and legumes are to be avoided as well. Alternating carbohydrates with fat will make the metabolic shift to a mechanism called ketosis. Ketosis occurs naturally in the body, during a night of sleeping, pregnancy and intense physical activity for example. However, it is exacerbated on a keto diet. Ketosis starts when all the glucose available in the body to produce energy is consumed. At this stage, the stored fat is released and metabolised into ketones, also called ketone bodies, to produce the energy our organism needs to function. This is what is generally known as “burning the excess of fat” and the release of ketones in the blood gives its name to ketosis. If the diet was protein-rich, the body would have used the protein’s amino-acids to turn them into glucose. This would have decreased the amount of fat burned. In contrast with the pathological diabetes ketoacidosis that can lead to coma, the nutritional or physiological ketosis induced by the ketogenic diet is known to be moderate as the blood ketone levels are relatively not that high. In fact, they are just enough to be actively used by the brain instead of glucose. In addition, there is no successive acidification of the blood that used to occur in diabetes. Therefore, the ketogenic diet has a relatively safer metabolic process. Although sharing the same basis of low carbohydrates and high fat, different types of ketogenic diets exist, and they are slightly different comparing to each other. The proportion of carbohydrates, fat and proteins could be at the origin of this difference, but also the nature of these nutrients and the type of food involved. 70 to 75% for fat, depending on the individual capacity. In this case, the balance between fat, protein, and carbohydrates is optimal for ketosis to happen. This formulation implies that most of the fat portion is made of MCTs that tend to be more metabolised into ketones than long-chain triglycerides. Coconut oil is a good source of this type of triglycerides. That said, high consumption of MCTs may have side effects such as digestive symptoms including diarrhoea. In addition, their effect on weight loss is understudied. This type of diet has the characteristic to take the carbohydrate daily portion (25-50 grams) at a “targeted” time, which is specifically before or after physical activity by 30 minutes to one hour. This variant follows a cycle for carbohydrate intake. It starts with several days (e.g. 5 days) of low-carbohydrate intake (the usual 20-50g of the standard ketogenic diet) followed by 1 to 2 days of high carbohydrate intake or what is known as “carb-loading”, where 450-600 grams of carbohydrates are consumed. This diet is suitable for people practicing an intense physical activity such as bodybuilders and athletes. It favours reducing the fat body mass while maximizing the muscle body mass. This alternative formula is similar to the standard version of the ketogenic diet, except that the protein intake is about 10% higher in the detriment of fat intake. It is suitable for people with high protein needs. The most common explanation of weight loss induced by the keto diet is that in the absence of carbohydrates, the body mobilises fat, including the excess stored, as a source of calories to the body. Other explanations are currently discussed by scientists. One is that the metabolism of the dietary proteins takes a lot of calories, which leads to the use of the body fat to cover the needs, which in its turn leads to weight loss. Another hypothesis is that the consumption of the proteins in the diet leads to feeling satiated and a loss of appetite which induces a weight reduction. Yet another explanation suggests that anorexia is induced by ketones themselves when used by the brain. Efficacy. There is a strong body of evidence suggesting that the ketogenic diet is a good alternative for weight loss compared with conventional low-fat diet. Its efficacy is also proven in the long run to some extent. Hunger control. Why is the keto diet efficient for weight loss is most probably linked to a couple of other benefits such as hunger control. As one research showed, the keto diet followers tend to feel less the need to eat. Hormonal regulation. Another benefit conducting to weight loss is the power of the ketogenic diet to regulate hormones promoting or demoting appetite. For example, it reduces ghrelin blood levels affecting appetite that decreases accordingly. It decreases insulin, which reduces the risk of developing insulin resistance in obese people. They consequently avoid being constantly hungry. Thanks to the shift from sugar use to fat use, the body on a keto diet is constantly having the necessary energy from ketones, which seem to increase both the physical and cognitive performance. This is sustained over time as body fat reserves could provide enough energy for weeks or months in contrast with sugar. Furthermore, bad mood and cognitive impairment tend to be frequent in overweight and today, there is a scientific evidence showing that ketones improve the mood and address cognitive impairment induced by weight gain. In a study showing the long-term efficacy of the ketogenic diet on obese participants for a 24-week period, the researchers found out that bad cholesterol decreased while good cholesterol increased after the diet. They reported that glucose also decreased. This shows that the diet has the potential to protect against cardiovascular risk and diabetes. The ketogenic diet seems to be adapted for type 2 diabetes management and treatment with lower side effects as compared with medication. It allows a better glycaemic control due to the low carbohydrate intake, and in the long run, it leads to a better diabetes control as HBA1C, a biomarker of diabetes complications, decreases. The research argues that high protein keto diet is even more beneficial for weight loss, body mass composition, and cardiovascular risk. In addition, other researchers reported that diabetes patients on a low-carbohydrate diet could even eliminate medication or take a lower dose of insulin. The keto diet safety risk is often associated with the potential ketoacidosis, the blood fat level, and the kidney function. As described above, the ketoacidosis should not happen unless there is a potentiality for it (e.g. Diabetes and pregnancy), in which case a medical surveillance is needed. With regards to the blood levels of fat, many studies reported that on keto diet, bad fat decreases and good fat increases. Indeed, total cholesterol and triglyceride levels decrease while High-Density Lipoprotein (HDL) representing the good portion of cholesterol increases. In addition, Low-Density Lipoprotein (LDL) part of the bad portion of cholesterol is reduced in size and volume. The kidney function should stay stable as well in most of the cases. The ketosis signs. Although many signs count among the benefits of a keto diet, there are some which may be unpleasant. In fact, ketones are very volatile compounds that could lead to a bad breath smell. They are partly eliminated through sweat giving it a specific and potentially unwanted odour. Digestive side effects. The most common digestive symptom is constipation, but diarrhoea can occur as well. The keto flu. Occurs the first week of starting the keto diet, depending on the individual’s response. The symptoms are temporary and include headaches, fatigue, irritable mood, difficulty to concentrate, demotivation, dizziness, nausea, muscle cramps, heart palpitations among others. These symptoms are due to the body adaptation to using fat instead of carbohydrates as a main source of energy, which in the beginning leads to water and sodium loss in the urines, causing a dehydration responsible of the keto flu symptoms. After this “hard time” more energy can be expected. Ketoacidosis. Recognizable by a series of symptoms that include confusion and tiredness, digestive signs such as pain and vomiting, dryness and thirst, and fast breathing. Long-term side effects. May include kidney stones and osteoporosis, and nutritional deprivation. If you have diabetes, high blood pressure, abnormal kidney function, or you are pregnant or breastfeeding, the keto diet might be unsafe for you. Better to seek the advice of your treating physician and/or a nutritionist. If you suffer from the keto flu, you can take salt and water to relieve the symptoms. If it does not work, try to temporarily increase your fat intake in such a way that you feel satiated. This will help boost your mood and give you more energy. You can alternatively lower your carbohydrate intake gradually. Planning your meals is a good way to organize your shopping and make sure that you reach your dietary goals. Do not neglect fibres in your diet. This will ease the digestion and make your diet balanced. In the beginning of the diet, you can start slowly to help your body adapt. For instance, you can gradually decrease the carbohydrate portion until it meets the dietary requirements and you can start with a low-intensity to moderate-intensity physical activity and increase it over time so that you avoid additional stress to your body. Same goes with stress due to hunger or eating too much in the beginning of the diet. If you feel hungry, eat what is recommended in the diet and do not blame yourself about the quantity you ingest. This will avoid worsening the keto flu symptoms and it is just a matter of time before your body finds the right balance. The return to a normal diet should also be progressive and controlled. The diet period goes from 2-3 weeks for a minimum ketosis effect to 6-12 months for an optimal safety. Recognise the ketosis and ketoacidosis signs and measure your ketosis. There are many testers available in the market that allow you to know how much ketones you have in your breath, blood and urines. This way, you have the chance to get your ketosis at a level that allows an optimal but safe weight loss. Reach out today to learn how we can help you look and feel younger, thinner, and happier in your own skin. Book a free consultation. Medium Chain Triglycerides (MCT oil) offer many different health benefits, such as boosting energy, protecting your skin, improving your mood, helping weight loss, optimizing digestion, increasing cognitive functions, strengthening your immune system, and several others. However, there are a handful of side effects that can occur if MCT oil is taken in excessive amounts. This is due to the oil’s large concentration of active ingredients and powerful chemical compounds. These possible side effects include headaches, hormonal fluctuations, mood swings, fatigue, inflammation, loss of appetite, anxiety, and gastrointestinal distress. For the desired benefits, only a very small amount of MCT oil is needed, so be sure to only use the oil in moderation, or diluted somehow. So what exactly is MCT oil? MCT stands for medium-chain triglycerides. These are also known as medium-chain fatty acids, and are widely considered to be nutrients that are beneficial for the body. These fatty acids are thought to be “good” types of fat, which have a wide variety of benefits, such as strengthening the immune system and boosting the metabolism. The medium-chain fatty acids are lauric acid, caprylic acid, and caproic acid. All of these are found in coconut oil as well, which is why people often confuse the two oils. While coconut oil provides a good list of health benefits, for anyone who wants a stronger dose of immune-boosting, anti-inflammatory, and antioxidant fatty acids, MCT oil would be the better choice. MCT oil can be quite effective for anyone struggling with poor digestive health, low energy, slow metabolism, hormonal fluctuations, obesity, Alzheimer’s, dementia, inflammatory conditions, or diabetes. It also has benefits for people who at a high risk for cardiovascular disease. MCT oil can help improve your immune system thanks to the antimicrobial qualities of caprylic acid and lauric acid. Quite a bit of research has been done on linking these to improved overall health. There is a result of increased immune activity and production of white blood cells in the body, while the effects of antioxidants from these acids help reduce levels of oxidative stress. An increase in energy levels is another benefit of MCT oil, as well as the direct stream of ketones and ATP from the rapid conversion of MCTs to energy. 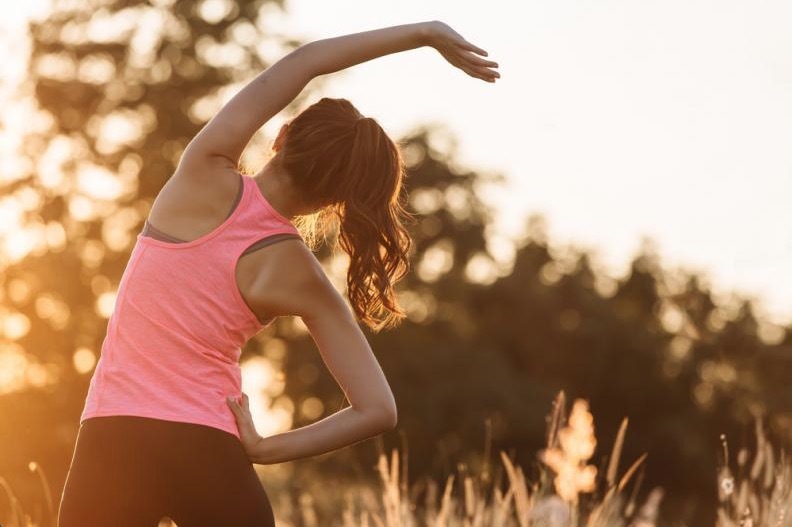 Rather than the over twenty steps that sugar normally takes to be converted into energy, the C-8 medium-chain fatty acids can become usable energy in just three steps. This provides your body with rapid support, and invigorates you. MCT oil has antibacterial, antiviral, and anti-inflammatory qualities as well that can help improve digestion, along with balancing the micro-environment of your stomach. This help prevent symptoms of constipation, bloating, and cramping, along with any viral or parasitic infections. The metabolism of your body is sped up as a result of the fatty acids in the MCT oil converting into energy. This helps with passive burning of fat, as well as general efficiency of the body to burn calories. Research has indicated that MCTs can prevent fat deposition by the body, rather than becoming pure forms of energy. Obesity is one of the biggest factors that lead to heart problems and cardiovascular disease. The effect of low-fat deposition that MCT oil provides gives people a better chance of staying slim, which typically keeps blood pressure lower, as well as lower overall cholesterol levels. It may seem that consuming fats would be counterintuitive to a healthy heart, however, most MCTs are what are considered to be “good” fats that you actually need in your daily diet. MCTs have also been known to aid in controlling blood sugar, mainly by preventing deposition of fat, and instead storing sugars in energy sources and muscle. Considering the benefit of MCT oil in helping to control obesity, optimize digestion, and increase your body’s metabolism, MCT oil is beneficial to not only people who deal with diabetes, but to people who may be at a high risk for diabetes as well. It’s thought that one of the areas of the body that benefits the most from small medium-chain fatty acids being converted directly into ketones is the brain. By protecting and providing energy to neural pathways, the ketones that are produced as a result of taking in MCT oil can diminish that symptoms of Alzheimer’s and dementia, as well as other neurodegenerative diseases, by providing the brain with energy for memory retention, focus, and concentration. The role fats play in creating hormones is one of their critical purposes in the body. By including MCTs, or “good fats,” in your diet, your body can produce the hormones that you need most in order to maintain a good mood, keep your body’s metabolism high, and help prevent hormonal disorders and depression. As you gain weight, the skin of your body stretches in order to accommodate the extra fat. So it stands to reason that as you lose weight, especially in large amounts, that you may have to deal with loose skin as a result of the weight loss. If you lose the extra fat you have accumulated too quickly, or if you don’t exercise while you lose the extra fat, the excess skin that has stretched out will have nowhere to go. However, there is good news. There are ways you can prevent loose skin while you’re trying to lose quite a bit of weight. Here are some tips that you can use in your weight loss endeavors to keep from having loose skin at the end of the weight loss. If you lose weight too quickly, it can result in loose skin. You need to first change your way of thinking when it comes to how long its takes for you to lose weight. For example, if you try to lose 20kgs in just half a year, this is really too fast. If you try to lose this much weight too quickly, your skin won’t have enough time to adjust to your body’s new shape. An example of this happening is when a woman who is pregnant gives birth. The woman suddenly loses large amount of mass from her stomach, however, her skin can’t keep up with the loss of that mass. This generally results in her having loose skin. Losing weight too fast can also increase the chances of you ending up in a cycle of yo-yo dieting, meaning that you will lose a lot of weight, then gain weight, then lose it again, and so. This is extremely bad for your skin, as it can lead to a loss in elasticity in your skin. As your skin loses elasticity, the likelihood of loose skin becomes greater. To lessen the chance of loose skin, it’s recommended that you attempt to lose extra fat slowly and steadily, rather than trying to lose weight as quickly as you can, which can be tempting. A healthy amount of weight to lose per week is about one to two pounds. This also makes it more likely that you’ll keep the weight off. By losing extra fat slowly, you will be more likely to think of your newer healthy eating habits as more of a lifestyle change, instead of thinking of them as a diet. A lifestyle change is far more likely to continue long-term, rather than a diet. You will be more likely to stick to the changes you’ve made, and have a better chance of keeping those pound off in the future. If you try to lose weight by merely diet alone, a good portion of your weight loss may actually come from any muscle mass you may have. As a result, if you aren’t actively maintaining your muscle mass while you try to lose weight, you may find that you end up having loose skin. This is fairly common side-effect you see in crash diets. With many diets that cause you to lose weight very quickly, your body is often deprived of various nutrients and vitamins, and maybe because you aren’t taking in enough daily calories, your body digests fibers of muscle in addition to the tissue of fat. This results in you losing muscle mass. So how do you make sure to maintain muscle mass while you try to lose weight? You need to perform regular exercise and practice healthy eating habits. Exercising for thirty minutes around five time a week offers a good amount of exercise to help you maintain your muscle mass while you try to lose weight. Try to perform a combination of exercises that tone muscle, such as pilates, yoga, or weight lifting, and cardiovascular exercises, such as running, aerobics, or dance. It is also worthwhile to know that you should try to lose extra fat as early as you can. As people get older, their skin starts to become less elastic. If you put off losing weight, you body and skin may have a harder time snapping back into shape. The younger you are are when losing weight, the easier time your skin has in bouncing back into good shape. Click here to learn more about our skin tightening treatments. Ulfit is a unique treatment created by Cluederm that can help people shape stubborn areas of unwanted fat and lose inches. The device features a circular, cutting-edge body applicator that uses ultrasound energy with efficient and precise contact with targeted area to be treated. The treatment uses high-intensity ultrasound that causes fat cells to vibrate against each other, causing the fat cells to shrink size and liquefy. This energy is delivered through a handheld device that can cover a wide area of the body as well as non-invasive face lifting and tightening in a short amount of time. 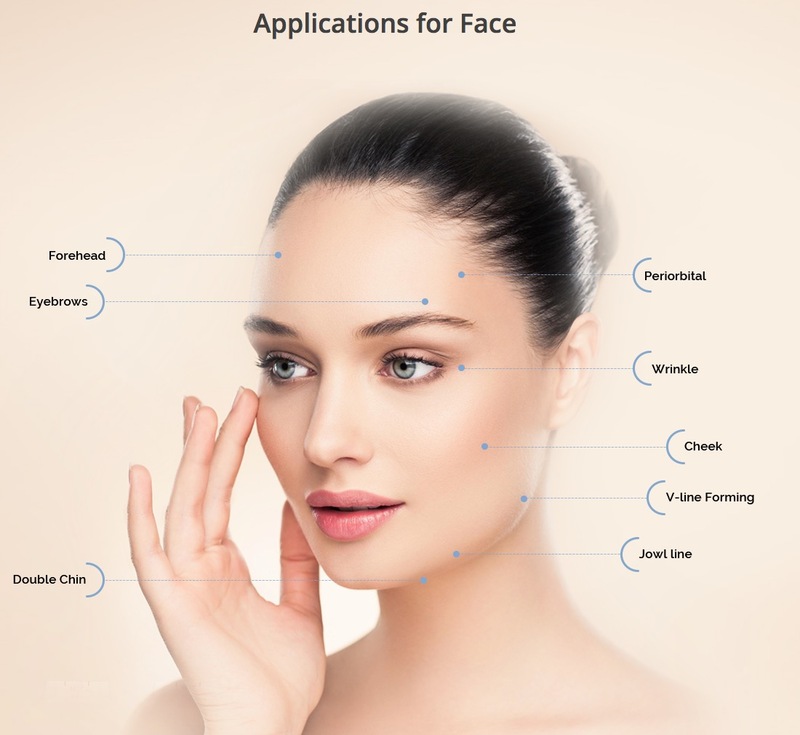 The non-invasive and non-surgical face lifting and body contouring technology works by simulating the natural regenerative process of the body through the use of micro-focused, highly sophisticated ultrasound energy to revitalize the three important levels of the infrastructure of the skin, with no down time for those who undergo the treatment. The micro-focused, powerful ultrasound waves not only lift the skin, but lift the layers of deep muscle underneath the skin as well. The ultrasound waves lift and tighten the skin under the jawline and chin, on the neck, around the eyes, and the brow. It can also help with wrinkles and fine lines, as well as sagging and wrinkles on the rest of the body. The technology behind Ulfit was specifically created with a system that minimizes any discomfort patients may feel during the treatment. This allows for maximum power levels of ultrasound emission to be delivered in a comfortable manner, allowing for the best results from the Ulfit treatment. The rapid shot movement that Ulfit is equipped with makes treatments efficient and incredibly precise. The duration of the treatment varies depending on the targeted area for treatment. For Ulfit treatments that target the entire face, treatments typically last around forty-five minutes. For individual areas of the body or face, Ulfit treatments can last in as short of a time as fifteen minutes. People who undergo Ulfit treatments can immediately go back their normal day-to-day activities. For most people, there won’t be any signs of the treatment. It’s often highly advised, however, to not use any active ingredients on the skin during the twenty-four hours following the treatment, as well recommended to avoid doing anything that’s fairly hot. This includes, for example, overly exhausting sports or physical activities, spas, and saunas. Typically one to two treatments are needed for treating the face, and at least three treatments are needed for treating an area on the rest of the body. The number of treatments needed to achieve the results wanted varies depending on the area that’s being treated. In addition to tightening and contouring different area of the boy, Ulfit treatments can help rejuvenate and tighten skin on the neck and face, helping with sagging skin, fine lines, and wrinkles. Since the Face Lifting aspect of Ulfit treatments can target different depths, deep wrinkles can even be improved through the treatments. Some people will see immediate results after an Ulfit face lifting treatment, however, the majority of people who undergo treatment start to notice results anywhere from four to six weeks after their treatment. Patients will see results from Ulfit for body contouring treatments continue to improve after their treatment for up to twelve weeks. Results from Ulfit treatments generally lasts from twelve to eighteen months, and possibly longer. Maintaining a healthy lifestyle can help dramatically in maintaining the results of the treatment. A short “top-up” Ulfit treatment can be done if desired every six to twelve months. While side effects are very uncommon, there is a small chance they could occur. These possible side effects are generally mild and temporary in their nature. Skin may have a redder appearance anywhere from thirty minutes up to a few hours following an Ulfit treatment. The majority of any redness that may occur should disappear by the time patients leave the clinic. Some patients may experience a slight tenderness, tingling, or swelling following their Ulfit treatment from a few days up to one or two weeks. This typically a good sign that things are happening deep within the skin. Some people may experience temporary numbness, welts, or bruising, however, these side effects are quite rare. There is also a rare, slight risk of burning, as with any treatment that is heat-based. Any temporary inflammation should go away within a few days or up to a couple weeks. Book your Ulfit session today, or reach out for a free consultation.